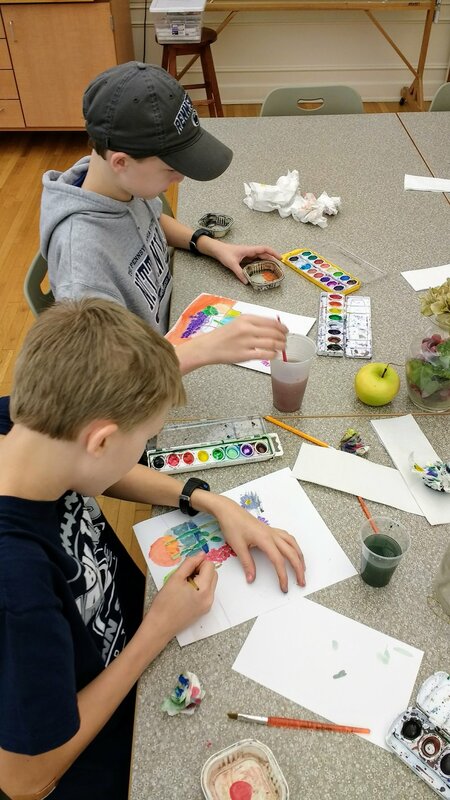 As a member of "Art's Club" you'll receive all the perks of an individual membership PLUS free Saturday afternoon workshops, access to field trips and three "buddy passes" to bring along a friend! Already have a family membership? Your children can opt in for free! Youth will be grouped by age to tailor activities to abilities and interests. Ideal for the child (ages 3-l 6)who wants to explore the arts in­dependently. Provides the child with discounts on classes and workshops, invitations to youth oriented programming, and access to free monthly workshops. Plus you can use "buddy passes" to bring along a friend! A great option for families with more than one child! Each member of the household will receive the perks of membership and all youth (ages 3-16) can opt into Art's Club for free! Three (3) "Buddy Passes" to bring a friend to Art's Club! Ages 3-7 & 8-12 meet 11 - 12:30 am. Ages 13-16 meet 1-2:30 pm. March 16: Paint-a-Friend. An exploration of portrait painting. April 13: Reverse Landscape. Collage a colorful Gauguin landscape. May 18: Drawing Things Apart. An exercise in drawing what you disassemble! June 15: Chalk It Up to Herrington. Make your own chalk paint for some outdoor fun! Paige Kleinfelder: Art's Club is led by Assistant Education Coordinator, Paige Kleinfelder. Paige earned her art degree from Elmira College. Prior to the Hoyt, she served as Education Coordinator for the Associated Artists of Butler County. Paige leads the Hoyt's popular Creative Play program for ages 3-7 and instructs the Jr. High STEAM program for the New Castle Area School District's CANES Club program. Robert Presnar: "Mr. Bob", as he is known by his students, is the Hoyt's Education Director. He is a certified K-12 teacher with a MA in History from Slippery Rock University. He has served as the instructor for the Hoyt's After School Arts Program since its inception in 2008.